FREE No dance experience needed! 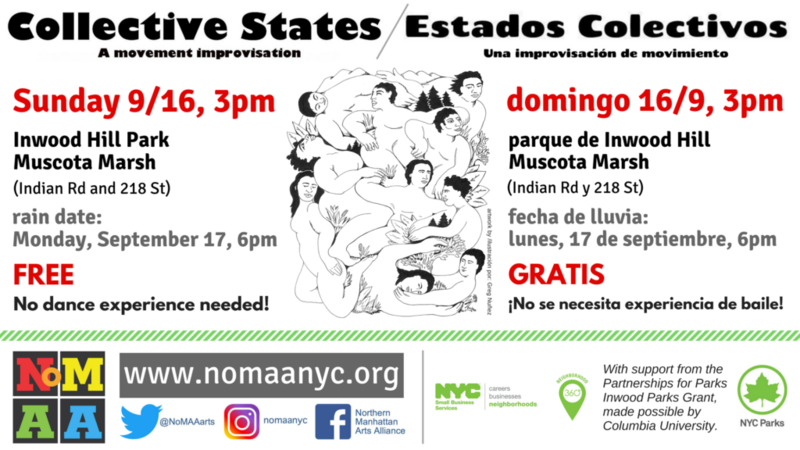 NoMAA invites the community to move together in a dance improvisation interacting with the natural environment. Come gather with your neighbors in a meditative exploration of the environment. Playfully connect to each other through movement and a final musical dance jam. Mónica Robles, local artist, will offer artistic verbal interpretation in English and Spanish for people with visual impairment or who just want to experience the event with narration. Mónica will be at 218th Street and Indian Road at 2:30 pm to welcome anyone visually impaired.